Do your aging loved ones prefer receiving support from you, another family member, or a complete stranger? Do they like to be supported in a certain way or do things the way they have been doing them? Take note of their preferences to help make them feel comfortable in the current situation. Help them get mobility aids, if applicable. A wide variety of mobility aids are available. These include canes, walking sticks, rollators, and wheelchairs, among others. You should take note, however, that certain mobility aids are not applicable in certain situations. For instance, those whose paralysis affect one side of their bodies are not physically able to walk using canes nor walkers since they do not have the strength needed for operating such aids. Check with their physicians about which mobility aids will best suit their needs and medical conditions. Know when to and when not to help. Independence is a big thing for seniors. They feel uncomfortable receiving assistance for chores that young ones often take for granted. Be a good judge as to when you should extend a helping hand and when it will be best to let your senior loved ones do things independently. It might be good to ask them first if they need your assistance than just jumping right into it. Keep paths clear from safety risks and obstructions. You know where your aging loved ones often go to, especially at home. Make sure that the floor is free from clutter or obstacles. Remember, they are not mobile enough to change directions in an instant. This can increase safety risks. Engaging home health care in Vancouver, BC can help your senior loved ones receive the mobility assistance they need when you are not there. At the same time, they can also provide additional support to you and to your family members. 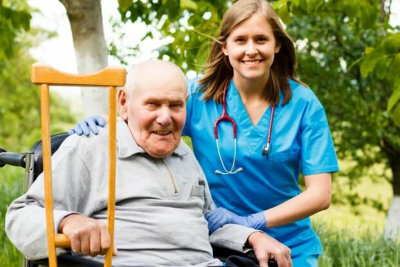 Our professional staff at Peachtacular Home Health Care is always ready to extend the necessary help for you and for your family. If you would like to discuss your care options with a member of our team, please contact us.